Is it safe to have a drink or two at dinner while I’m pregnant? This is a controversial issue. Fetal alcohol syndrome (FAS) was first identified more than 30 years ago, and yet there are still many unanswered questions about the risks of drinking moderate amounts of alcohol during pregnancy, including how much it takes to cause birth defects and why some babies seem to be affected and others don’t. We know that women who drink heavily during pregnancy have an increased risk of having a child with FAS. Babies with FAS have a constellation of severe lifelong problems: they’re born smaller, often continue to grow poorly, and have physical abnormalities and learning and behavior problems. 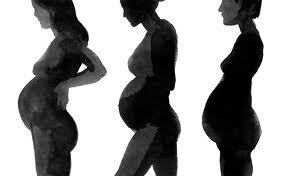 But full-blown FAS is only the extreme end of the spectrum of what can happen when you drink alcohol during pregnancy. A broader category known as fetal alcohol spectrum disorders (FASD) affects many children whose mothers drank while pregnant. These children don’t have all of the physical features of FAS but do have learning and behavior problems. Right now we don’t know what amount of alcohol is safe to drink during pregnancy for every woman, so we say, as does the U.S. surgeon general, that it’s best to take the “better safe than sorry” approach and avoid alcohol entirely when you’re pregnant. And since most people don’t find out that they’re pregnant until several weeks into the first trimester, you should also avoid drinking if you think you could be pregnant. Although regular consumption of alcohol has been clearly associated with fetal alcohol syndrome — a disorder characterized by retardation, birth defects, and neurological impairment — many obstetricians feel comfortable with their patients having an occasional drink (a glass of wine or a beer every once in a while) in the second and third trimesters. Just remember that the safety of drinking alcohol during pregnancy hasn’t been clearly documented because the effects on a developing fetus may be so subtle or not yet identified.